3" long gridwall garment display arm for holding hangers, or a single half body plastic torso. Disc end prevents hangers from sliding. 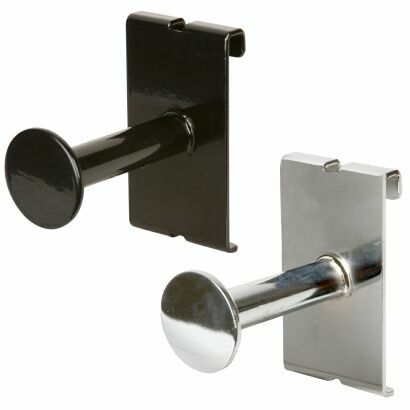 Price: $1.95ea Item #: GW3GH Colors: black, chrome. Standard Pack: 24pcs (any quantity can be ordered, $3 broken box fee will apply).